U.S. Sen. Edward Markey says he will donate campaign contributions he received from New England Patriots owner Robert Kraft to an organization that works to end human trafficking. 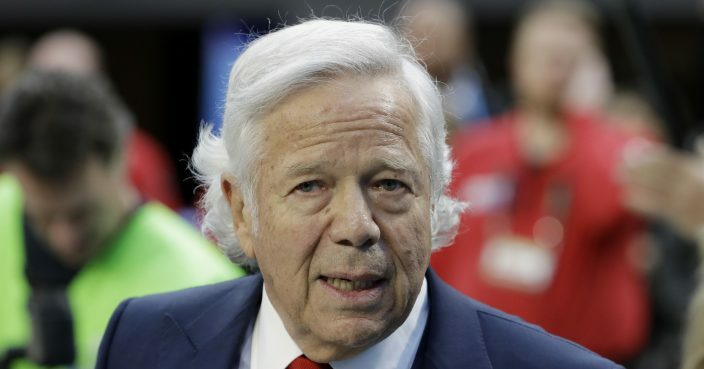 Kraft was among hundreds of men charged in a crackdown on massage parlor prostitution and an investigation into human trafficking at Florida spas. He pleaded not guilty last month to two counts of misdemeanor solicitation of prostitution. The Boston Globe reports that Markey received $3,600 in donations from Kraft during the Massachusetts Democrat's first Senate campaign in 2013. In a statement, Markey calls the allegations against Kraft "very alarming" and says sexual exploitation is "reprehensible" in any form. The Patriots owner is a lifelong Democrat but has donated to Republican candidates and is friends with President Donald Trump.